If the criminal was once a saint and the saint was once a criminal, then who is a criminal and who is a saint? Inspired by true events, this riveting narrative traces the lives of Safeena Malik, Deewan Bhat and Bilal Ahanagar, three childhood friends who grow up in an atmosphere of peace and amity in Srinagar, Kashmir, until the night of 20 January 1990 changes it all. While Deewan is forced to flee from his home, Safeena’s mother becomes ‘collateral damage’ and Bilal has to embrace a wretched life of poverty and fear. The place they called paradise becomes a battleground and their friendship struggles when fate forces them to choose sides against their will.Twenty years later destiny brings them to a crossroads again, when they no longer know what is right and what is wrong. 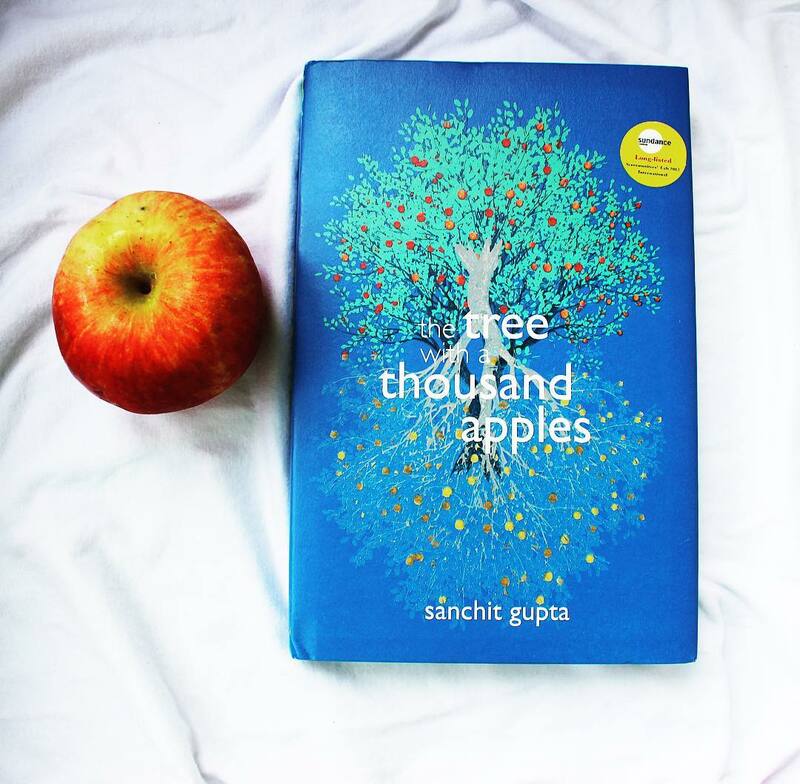 While both compassion and injustice have the power to transform lives, will the three friends now choose to become sinful criminals or pacifist saints?The Tree with a Thousand Apples is a universal story of cultures, belongingness, revenge, and atonement. The stylized layered format, fast-paced narration, and suspenseful storytelling makes for a powerful, gripping read. The book is written on the basis of true events with a wonderful style of writing. The Author beautifully portrayed a culture of Kashmir with a wonderful story on lives of Bilal, Safeena and Diwan. The bond of friendship, childhood and so many things that touched my heart. how the author described various issues faced by Kashmiris, army, and all other people there is in a crip and interesting way makes a story more impressive. Use of simple language, in proper sync and plotting it correctly adds more value to the book. No matter from which religion you are, Friendship has its own charm above all. How the three of them were from different religions though shared a strong bond with so much understanding amongst them, the innocence of Kashmiri people, How the heaven of the earth as we call Kashmir face lots and lots of problem each day. Author has taken a great effort to let us know what truly Kashmir is and how Kashmiris there goes through with various situations for a living. The writing style of the author is simple, interesting and it keeps us engaged throughout. From start to end, we just wonder how people there in Kashmir go through so much.This book is a great piece of work which gives an insight of the Kashmir issue, the condition of its people. This Book is must read for each and everyone to know what freedom actually means.Full of suspense, love, friendship, and emotions. The best read with some real tragedies. Scrapbook of an Unfound Songstress by Vicky Nolan – Book Review.